Brienz has always been famous for its chic architecture and refined wood work. The place has always been a centre for great architecture and hence it becomes a must for any traveller to have a stroll among the very famous streets of the place. The place is filled with beautiful houses that have been there for a very long time. The place in itself unfolds the history of the place through its architecture and design which are the trademark of the place. The place is really good to explore or even take an evening walk. Walking on foot is the best option as the city can easily be explored on foot. Love this? Explore the entire list of places to visit in Brienz before you plan your trip. Fancy a good night's sleep after a tiring day? 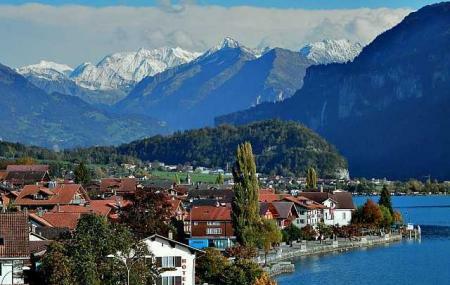 Check out where to stay in Brienz and book an accommodation of your choice. How popular is Breinz Stroll? People normally club together Ballenberg Open-Air Museum and Brienz Rothorn Bahn while planning their visit to Breinz Stroll.